PUNE: After Pune, it could be destination Nashik for industry as Pune is fast running out of land. The vigorous land acuisition by the Maharashtra Industrial Development Corporation (MIDC) and private industry here is soon going to ensure this. 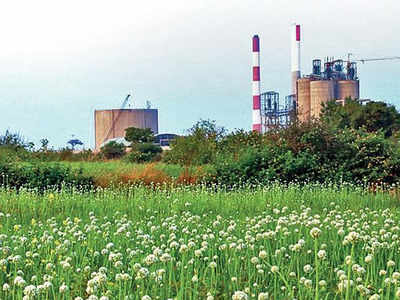 Sources said that the state government’s industrial infrastructure development arm is looking to create a land bank of between 10,000-20,000 hectares in the two cities, Pune and Nashik, with emphasis on the latter. However, the attraction of destination Pune remains. MIDC is looking to acquire land for which notifications have been issued at Ranjangaon, Talegaon, Chakan, Karla and Khed. The state government is believed to have received 1800 applications for the Chakan industrial area, 1100 for Ranjangaon and 600 for Talegaon. The land bank with the MIDC, Pune region, is close to being exhausted and it is facing problems in acquiring new land. Industry experts think Nashik will prove to be the alternative to Pune. “Nashik, with it’s huge land availability, abudant water supply and connectivity with Mumbai offers ideal locations. It has got mild climate like Pune too,” sources said. Nashik: The Nashik Municipal Corporation (NMC) has snapped the water supply to 60 consumers who failed to clear the tax dues despite repeated notices. With the current financial year about to end, the water department of the civic body is going all out to meet its target. The water department has collected Rs 40 crore so far, against the target of Rs 45 crore for the financial year 2018-19. In the last fiscal, the NMC had collected water tax amounting to Rs 29.50 crore. “We are yet to collect payment of over Rs 5 crore to meet the target for the current financial year. Earlier, we had served notices to several water tax defaulters. We have started taking action against those who failed to pay the water tax dues,” sources from NMC said. The major focus of the NMC’s water tax department is to ensure that it achieves hundred percent target set for water tax collection this financial year. “We could not focus on water tax collection during the last financial year due to inadequate manpower, but we are taking various measures to increase the water tax collection this year,” NMC officials said. NMC had collected water tax amounting to Rs 31 crore by January-end during the current financial year. But, it could collected only Rs 9 crore during the past one-and-a-half month. This was followed by issuance of notices and snapping water connections. The water tax department of the NMC initially targeted the big defaulters and served final notices to over 60,000 other defaulters till Feberuary-end. The total outstanding amount that time was about Rs 14 crore. “We recently started snapping water connections of defaulters following their failure to pay the dues. We have asked the divisional officers in all six divisions to take tough action against these defaulters,” said NMC sources, adding that more water connections may snapped during next few days. The NMC has six divisional offices — Nashik East, Nashik West, Nashik Road, Satpur, Panchavati and Cidco divisions — which collect property and water taxes. The civic body has also made announcements, using public address system, appealing to the residents to clear their tax liabilities before the end of the financial year. NASHIK: The complaints with respect to garbage collection continue in certain parts of the city despite authorities imposing fine amounting to crores of rupees. These include irregularities in the garbage collection, segregation issues, lack of maintenance of vehicles and eateries handing the solid waste over to the domestic garbage collection vans despite there being dedicated vans for hotel waste. The vans are reportedly being used without proper repair and maintenance, waste segregation is not done and there are also timing issues as well as other complaints, due to which the Nashik Municipal Corporation (NMC) has been slapping fines on the contractors. However, it seems there is not much improvement in the system. The NMC’s reply to an RTI revealed that the civic body has imposed fines amounting to Rs3 crores in two years. According to the RTI, the maximum number of discrepancies were found in the Panchavati and New Nashik divisions, where Rs2.5 crore has been charged as fines. “From December 2016 to November 2018, we have imposed total fines of Rs2.98 crore. Out of this, Rs1.1 crore was for the Panchavati division and Rs1.43 crore for New Nashik. 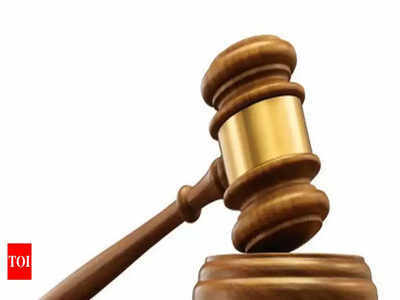 The fines were for various reasons like the van not reaching the various locations (check points) in time as per the time table, absence of staff, depositing salaries late in the bank, some vehicles are not in a condition yet are being used etc,” said an NMC official. Corporators had raised the issues of garbage collection during many of the NMC’s standing committee meetings and had also demanded an inquiry. “At times, we get a few minutes late while filling fuel. During such times, we may not be able to reach the check points in time. However, we try our best to maintain the scheduled timings,” said the supervisor of a garbage van. During the last meeting of the medical assistance and health committee, members had complained that waste from the hotels and restaurants were handed over to the vans that are meant to collect household waste although independent vans have been dedicated to collect solid waste from such eateries. “We have instructed the contractors. This issue is being taken care of,” said an NMC official. 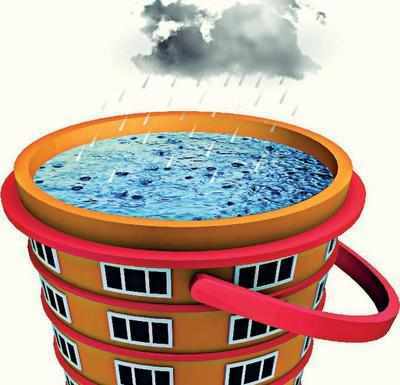 NASHIK: The civic administration has once again made it clear that it would not resume water supply to Swagat Heights until and unless the residents install fire-fighting equipment in the apartment. Nashik Municipal Corporation (NMC) had disconnected water supply to the building in August last year when it found out that the height of the building was more than 15 metres and was without a fire-safety equipment. As per the approved plan, the height mentioned is 14.85 metres. The assistant director of town planning was directed by the civic chief to investigate the case, take action against the guilty officers and resume water supply. Even after 90 days of the issuance of the direction, nothing had been done in this regard. The residents of the society have decided to boycott the elections if the water supply is not resumed. Currently, the residents have to buy drinking water. Additional municipal commissioner Haribhau Phadol recently chaired a meeting comprising officials of NMC’s town planning and fire department and office-bearers of Swagat Heights. Both chief of the fire department Sanjay Bairagi and assistant director of town planning department Suresh Nikumbhe expressed similar views, pressing upon the society to install the fire-fighting equipment in their apartment. Residents said that the needful should be done by the builder but that if he refused to do it, then the encroachment department should demolish the excess construction. Nashik: With the onset of summer, the water woes of 15,000-odd residents of Wadala have gone from bad to worse. Facing water crisis throughout the year, these residents are forced to buy water. And, so far, the civic body has done very little to resolve the issue. Sathe Nagar, Mehboob Nagar, Madinah Nagar, Gulshan Nagar and Sadiq Nagar are the areas reeling under water scarcity. These areas get water from Gandhinagar and Indiranagar water storage tanks. On Thursday, a delegation of the residents met East division official of the Nashik Municipal Corporation (NMC) who assured them to increase the number of tankers and resolve the issue by April-end after pipeline laying work from Mukane dam is completed. “We buy water every day. We have to walk around a kilometre to Wadalagaon and fetch water in pots. We face water problems throughout the year. In summer, the problem is severe. We have to wake up at 2am for filling water from the well. One pipeline was laid for this area many years ago but that too stopped functioning long back,” Ramji Thorat, a local resident, said. 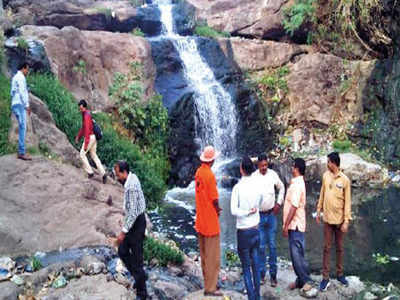 Nashik: Officials at Yeola forest range have appealed to people send photographs, videos and information about any conservation work undertaken for animals, birds and trees in summer. The range is organising a competition titled ‘April Cool’. The range forest office, Yeola, East division invited people to participate in the competition. The invitation was circulated on Monday and the department has received entries from across the district as well as from other places like Satara. People could show how water is provided to animals and birds, or show innovative methods of watering plants in gardens, terraces etc in summer and protecting them from the sun, collecting seeds of various trees etc. The initiative has been organised for the first time in Nashik to create awareness and aid in conservation. “For the first time the forest department is conducting such an activity in Nashik. It is a different kind of initiative to create awareness and compassion for wildlife and reward people doing good conservation work,” range forest officer of Niphad Sanjay Bhandari, the one to come up with the idea, said. He said a trophy would be given to those securing first, second and third prizes, but any cash reward could only be offered once senior officials approve of it. “People are giving entries with photos and videos from Satara as well. Ramesh Iyer from Nashik city has also given us information about the work he is doing by distributing water pots for birds and wildlife,” Bhandari said. Photographs and videos, along with the name of the person sending these and information about the initiative undertaken can be sent by email or Whatsapp by April 30. The email is is rfoyeola@gmail.com; and the phone number for WhatsApp is 9420001157. NASHIK: Prominent industrial associations in Nashik have decided to take the Maharashtra State Electricity Distribution Company Ltd (MSEDCL) to court over the recent hike in power tariff for industries and consumers that will be implemented from April 1, 2019. The associations have decided to move high court once they get the electricity bills based on revised fresh tariff. The associations have also decided set up a committee and raise joint funds to fight all legal cases against the MSEDCL. A decision to this effect was taken at a meeting of industrial associations held in in the city on Monday. State president of Maharashtra Chamber of Commerce, Industry & Agriculture (MACCIA) Santosh Mandlecha, president of Nashik Industries & Manufacturers’ Association (NIMA) Harishankar Banerjee and president of Ambad Industries & Manufacturers’ Association (AIMA) Varun Talwar were present at the meeting. “The fresh hike is around 6%, but the MSEDCL has not intimated us anything officially. We are waiting for the fresh electricity bills and will see the effects. Once, we get it, we will move court against the power company,” Talwar said. “There is no use of staging demonstrations or burning electricity bills. All associations have decided to go for legal battle against the power utility. Moreover, there is also over 20% difference in power tariff for industries within Maharashtra. There should be uniform power tariff across the state. Otherwise, industries would move elsewhere,” he added. “We are upset with the fresh tariff hike. The power tariff for industries is higher in Maharashtra when compared to the neighbouring states. Hence, all associations have decided to go the legal way. We are also seeking legal opinion on the issue,” Banerjee said. 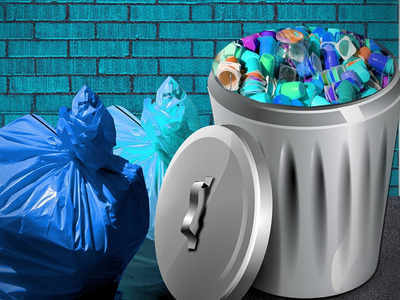 NASHIK: The hotels and restaurants in the city are flouting the waste collection rules with gay abandon by disposing garbage in the regular vans allotted for household waste instead of the bins that have been set up for the establishments to dispose off their waste. Solid waste from hotels, restaurants, hostels and marriage halls and septage from various public toilets are used at the waste-to-energy plant at NashikMunicpal Corporation's (NMC) solid waste management plant at Pathardi. Solid waste from households is sent to the compost plant at NMC's MSW to manufacture compost. Since solid waste of hotels is being handed over to domestic garbage vans, the waste-to-energy plant is hardly getting any waste to manufacture energy. The plant generating power from waste is producing only around 1,000 units per day while the target is 2,000-3,000 units. The German government's nodal agency Gesellschaft fur Internationale Zusammenarbeit's (GIZ) funded the project in the city in particular, and as a pilot project for the country in general. The capacity of the plant is 250 kilo watt. Independent garbage vans have been provided for collecting hotel waste but as per sources in the plant, the output of the plant is lower than what was expected. Initially, the energy generated at the plant was lesser than expected due to improper waste segregation by hotels and restaurants. Now that the solid waste from the commercial establishments is being handed over to domestic garbage vans, it is deterring the plant from being utilised to its full potential. On questioning, a worker at a restaurant on Mahatmanagar to Gangapur Road said, "We were asked to segregate waste and hand it over to the garbage van. That's what we are doing." He was clueless about independent garbage collection vans for hotels. Another worker in a restaurant on College Road said that he too handed over segregated waste to a van that came around afternoon. "We are collecting segregated waste anyway. When we stop by residential complexes to collect waste, hotels, restaurants, hostels, marriage halls in the area also hand over segregated waste to us," said the attendant of a garbage van. An NMC official clarified that restaurants, hotels, hostels and marriage halls have to hand over dry waste to regular garbage vans but solid waste to the independent vans. 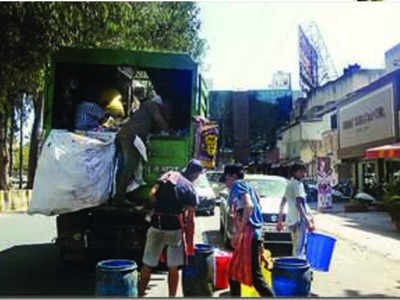 Health officer at NMC Sachin Hiray said that they had informed all the commercial establishments to hand over solid waste to vans dedicated to them but the people working in these places may not be aware. "We will check once again and send a reminder to these establishments. We will also bring it to the notice of the contractors," said Hiray. 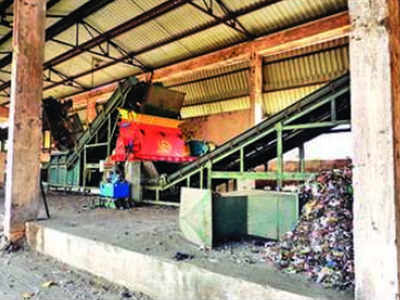 NASHIK: The NMC claims that there has been a significant improvement in the functioning of its solid waste management plant at Vilholi near Pathardi Phata. “Over the past year, there has been improvement in waste segregation and compost production. Even the demand for compost has increased and farmers from other states are visiting the plant to see its functioning and making of the compost,” said an NMC official. Recently, a team of farmers from UP visited the compost plant and have shown interest in buying the compost. Also, 35-40 government officials from different municipal corporations visited the plant. “Last year, it was 30-40 tonnes compost was obtained, now it has gone up to 60-70 tonnes, which is quite a good amount. The quality has also increased as waste segregation is good,” said the official. The civic administration said that strictly implementing the segregation of waste at the source has helped in increasing the quality of the compost. “We are getting a good response from the farmers for compost. Farmers from UP visited in batches over the past couple of months along with Gesellschaft fur Internationale Zusammenarbeit (GIZ), German government’s nodal agency,” said Lt Col (Retd) Suresh Rege who is managing the solid waste plant. They also visited some grape farmers who use this compost. RCF is supplying this fertilizer to banana farmers in Jalgaon. It is cheaper than chemical fertilizers. Rege said that they were also planning to increase refuse derived fuel (RDF) from 20 tonnes to 80-100 tonnes. NASHIK: The Maharashtra Industrial Development Corporation (MIDC) has been forced to impose 50% water cut in Sinnar industrial estate as the water level in Chehadi weir, which supplies water to the area, has depleted. The MIDC has requested the water resources department (WRD) to release water into Chehadi weir so that it can restore normal supply to the industrial units. “The water cut is for a temporary period. We are trying our best to restore normal supply as soon as possible,” an MIDC official said. The industrialists met resident deputy collector (RDC) Ramdas Khedkar and urged him to release the water from Darna dam — the major source of water for Sinnar MIDC areas. The water from the same dam goes to Chehadi weir from where MIDC lifts it for supplying to the industrial units. Ashish Nahar, chairman of wine industries of Maharashtra Chamber of Commerce, Industries & Agriculture, said water supply in Sinnar industrial estate has been affected for the past two days. “We met Khedkar immediately and urged him to look into the issue. He has also assured us that it is not a water cut, but the situation will be overcome by releasing water from Darna dam into Chehadi weir,” Nahar said. According to him, industries in sectors B and C in the industrial zone are also getting water at low pressure. “We have been asking the MIDC to build a separate water tank so that these industries would get water at normal pressure,” Nahar said. The MIDC’s normal supply for the industrial units at Sinnar on a daily basis is 14 MLD (million litre per day). At present, only 7.5 MLD is being supplied. “We have written to the WRD urging them to release water from Darna dam. Water supply would be restored once water is released into the Chehadi weir,” added officials. The Sinnar industrial estate is spread over 516 hectares that houses are around 1,500 MSMEs and large industries. NASHIK: The stretch from the Elephant bridge near Nag Chowk at Panchavati to the confluence of Godavari river with its tributary Waghadi is home to mounds of garbage and innumerable encroachments. There is a waterfall, around 20-feet high, near the confluence whose water has been diverted to the sewage treatment plant, which environmentalists claim have concealed the springs . Environment activists Nishikant Pagare, Amit Kulkarni, Sunil Pardeshi, Yogesh Barve, Vinod Sansare, Nilesh Dhuse, Vedprakash Vyas, Vishal Patil and others visited the aforementioned patch along the river recently. "There is a waterfall in this area on Waghadi river, like in Someshwar, which flows from a height of around 15-20 feet. There was no foam in the waterfall. The water has been diverted to the STP, as a result of which the live streams have been destroyed by the administration," said Pagare. In many places, besides encroachments on the riverbed, public toilets have been constructed on both sides of the bridge. "In some places, drainage pipes from these toilets are directly releasing sewage into the river. Drain water is also being released into the river. Some nearby houses have installed drainage pipes which are directly pouring into the river. Two cement pipes below the new vegetable market at Ganeshwadi releases the sewage water directly into Godavari, thereby affecting the natural flow of the river.These pipes carry drainage water, plastic and garbage along with the river water," said Pagare. The environmentalists said that the top portion of the waterfall has turned concrete. In some places, water can be seen sprinkling from the rocks, indicating that the natural streams have been stifled. "The waterfall can be developed into a tourist spot. The administration can keep the river clean by employing people and giving them the responsibility of ensuring river cleanliness. Since no foam can be spotted in the waterfall, it is safe to conclude that pure water is flowing from the top. This water should have been released into the river but instead, is being diverted to the STP along with sewage. Only sewage should have been diverted," said Pagare. An NMC official admitted that natural water was being diverted along with sewage. "Under the smart city plan, we are laying a pipeline from Gadge Maharaj bridge to both sides of Waghadi river, Laxman Jhula bridge. The work, which will be completed in a couple of days, will help arrest the water and only sewage will be diverted. This will start after the model code of conduct is lifted. Maximum issues will be resolved with the smart city works," said the official adding that the garbage and encroachments would also be cleared soon. Nashik: The Nashik Municipal Smart City Development Corporation Ltd (NMSCDCL), althought keen to ensure completion the smart road work before monsoon, is apprehensive that contractor could miss the deadline due to slow pace. The 1.1-km road from Ashok Stambh to Modak Point is being developed as a pilot smart road. The authorities had set March 31 deadline for the same. The contractor, however, failed to complete even one patch of the road by that period. NMSCDCL has served a notice to the contractor on April 15 for not meeting the deadline. The authorities have also decided to impose penalty on the contractor. “The penalty will be imposed depending upon the period of the delay. We will make that adjustment in his bill. The amount has not yet been decided, but the decision will be taken after the election,” said chief executive officer Prakash Thavil. He said that the contractor is expected to complete the road before rainy season. The deadline to complete first phase of the road was October 2018. It has been extended till January 31. The deadline for the second phase was March31. The first phase has been completed during this period with some finishing touches remaining. Now, the officials are hoping that the second phase of the road is completed at least before monsoon. In February, when principal secretary, planning department Sitaram Kunte, was in the city, he said that the contractor was not mobilised the way he should be. He had said that notice was being served to him for delay in completion and also asked the officials to impose fines on him. “There are many reasons for the delay. New problems emerge ver often. Some pipelines, underground channels, old sewage lines, old water supply lines had to be taken care of while constructing the road. Many small issues like these came up and delayed the work,” Thavil said. In addition, a British-era sewage line, unused pipelines and heavy traffic are other reasons that delayed the construction of Smart Road inordinately. Initially, due to heavy traffic they could not bring trucks of cement during the day, and hence, they brought it during the night after the traffic reduced. New Tier III Destination -- Can you Guess ? ?